Trends are created with an intention to be liked by a chunk of people taking forward the legacy for a considerable period of time. When talking about trends we have always come across those that are positive and something that is accepted by the people at large. What about those that are disliked by a huge chunk of people? Yes, even they fall under the category of trends, to be more specific, negative trends. 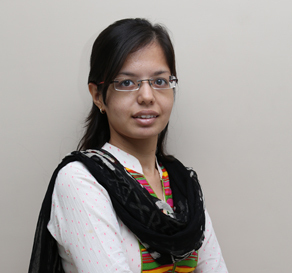 E-learning wriggled its way to being regarded as one of the best tools for distance education. The world of e-learning too has the capacity to create trends in the field of online education. As said, trends can be positive as well as negative. What are the negative trends that the world of e-learning is witnessing in the year 2017? Let's have a look at some of them. Following are some of the e-learning trends that people love to hate and would rather avoid following them. Sometimes an e-learning module tends to take care of each and every audience's needs and preference within a single go. This proves to be quite harmful when it comes to bringing in the right amount of attention. Instead of proving to be a one-stop solution, it makes it complicated for the users, making them dislike the concept. There are algorithms that screw up the best of both worlds. These algorithms works as follows - you get a plus point on completing a course and minus if you do not complete them. This negates the benefit of WBT(Web-Based Training) because your freedom to learn from wherever you want to and however you want gets barred. You are supposed to go from 1 to 2, 2 to 3 and 3 to 4. If ever you break this routine you could end up with a negative point. This is where the disliking creeps in because if a person is already acquainted with the number 1 why should he be forced to complete. E-learning authoring tool that needs to be backed by some really important yet fruitful results are all but one certain set of possibilities that are ruling the market. The use of multiple or rather distinct authoring tools diminishes the interest in using the e-learning concept. A pair often completes each other but courseware and LMS are pairs that seldom contain a spark within them.The combo of giving away LMS with courseware may prove to be quite a pain in the neck as their main focus would be on the course contents and not the LMS. This sets a negative influence in the world of e-learning. Sometimes there are billions and billions of things loaded in a module occupying too much of space. This distracts the attention of the users. We all have heard the saying too much of anything often causes harm and hence should always limit to what is being demanded. E-learning is one of the best methods to reach out to a swarm of learners that negates the barrier of time, place and money. The education and technical industry too has a trend that highlights the changing taste and preferences of the people. 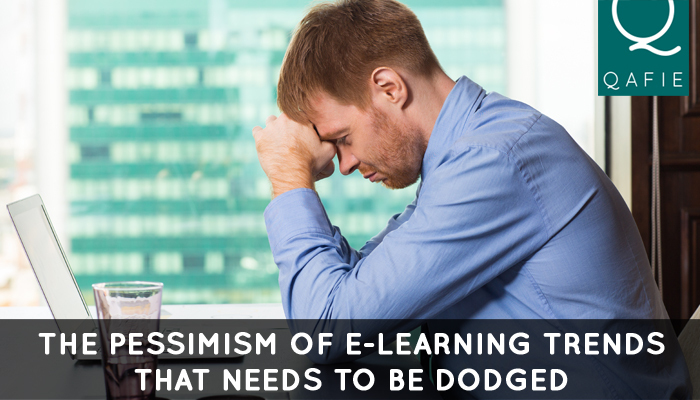 The above-mentioned were some of the e-learning trends that highlights the pessimism of e-learning industry.